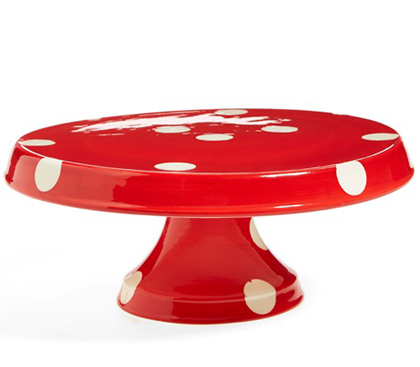 Cheery polka dots add festive charm to this ceramic Red Polka Dot Ceramic Cake Stand that’s just right for the holidays. $38. Free shipping. Buy here.